I used the universal shape of the "fin" to tell some of my personal stories about Coolum. 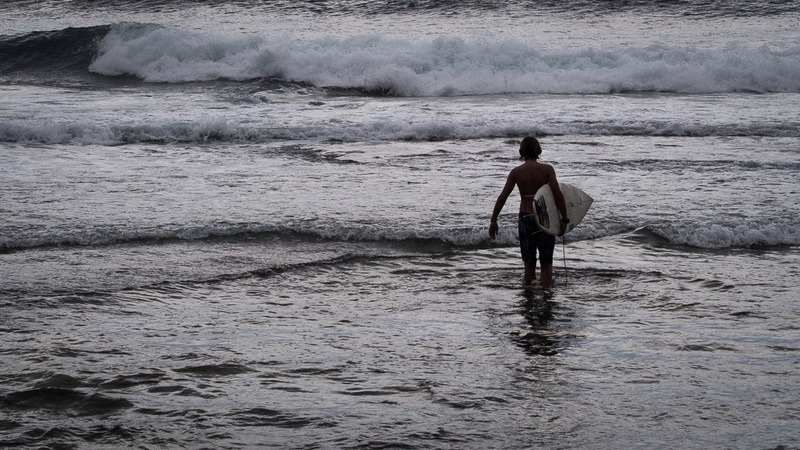 The background (subterranean) boards reference the traditional place-name of Coolum having plenty of fresh water. 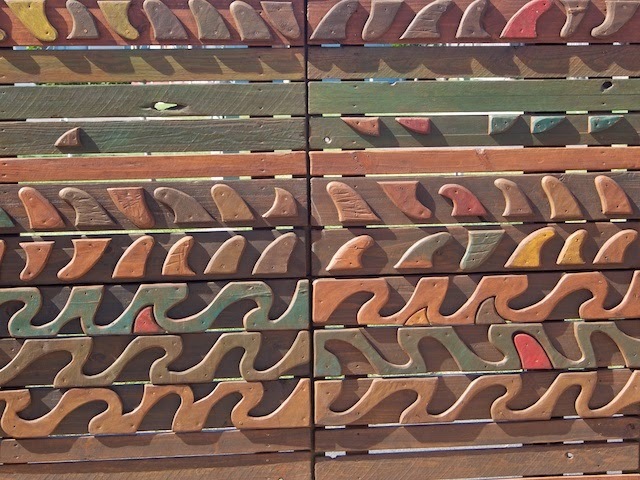 The planks also vary in dimension and colours like a territorial brand, to express Coolum's contemporary identity threatened by over population. We all love our town. The individual fin cut-ous represent a crowded surf and the Polynesian-styled panels below are our ancestors. The smallest fin-ike shapes are the spark of grommets and our community potential. Fins or "blanks" that sit within all of these shapes sympolise loss. Every fin is somone I have surfed with in a now endangered Coral Sea. Nice work by the artist!